Woodbine Entertainment Group today announced wagering on Woodbine’s 2016 live Thoroughbred racing season, which concluded Sunday, December 4, rose sharply over the 2015 meet. The 133-day season produced an “all-sources” handle of $469,452,009, a 7.1% per cent increase over the $438,185,077 figure recorded from 133 dates in 2015. 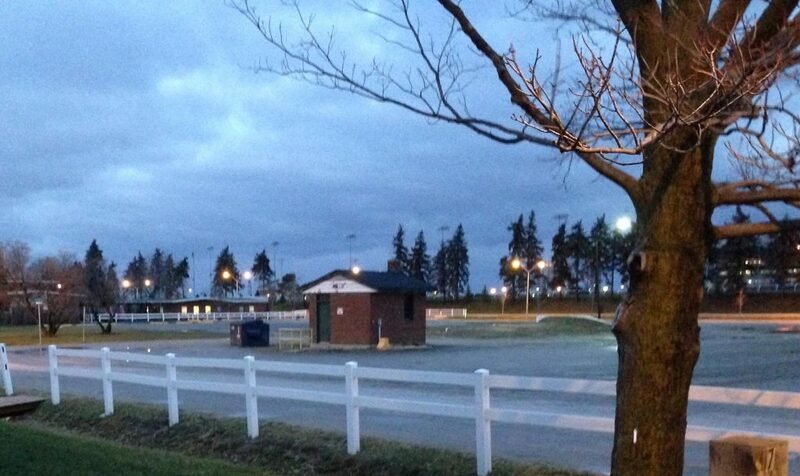 Wagering was up 4.1% in the Greater Toronto area on Woodbine Thoroughbred racing. Woodbine posted substantial wagering gains on each of its three biggest days. The Queen’s Plate, which had its 157th running in 2015, had a record wagering total of $11.8 million for the July 3 card. The on-track experience was enhanced to present more food trucks, fashion and music, including headlining bands that played well into the evening. The Plate, with 37,063 in attendance, was won by Sir Duddly Digges. Ricoh Woodbine Mile day, on September 17, recorded a handle of $9.6 million, shattering the 2015 mark of $7.1 million, while the Pattison Canadian International card, on October 16, had wagering of $9.2 million, eclipsing 2015 mark of $6.4 million. Sunday’s final programme also established a mark for a Woodbine meet finale card, with $7.4 million wagered, surpassing the 2015 record of $6.5 million. The card included the second Jackpot Hi-5 mandatory payout this year with over $1 million up for grabs and a payout of $39,500.65 for a 20-cent ticket. In April, Woodbine introduced Tapeta as its new main racing surface and it was well received by many racing fans and industry participants. “In the first year with a new racing surface, we’re quite pleased with how the Tapeta performed especially in the second half of the season after adjustments to our track maintenance protocol were performed,” said Tom Via, Senior Vice President of Operations. Woodbine also introduced clockwise turf racing in June. Twenty-two races were conducted at five and 5 ½-furlong distances. The track ran a record 236 grass races in 2016. Purses paid out in 2016 totalled $70.6 million, including a stakes program worth $19.5 million (101 added-money races). Field size rose to 8.4 horses per race in 2016, up from 8.1 horses per race in 2015. Opening day for the 2017 Thoroughbred racing season, also set for 133 dates, is scheduled for April 15, 2017. Standardbred racing continues at Woodbine through the winter, including a special Boxing Day card that features a 1:00 p.m. post-time. Ontario bred AVIE’S MESA, a Queen’s Plate contender for owner/breeder Ivan Dalos, will compete in the Pulpit Stakes worth $75,000 on Saturday at Gulfstream. The son of Sky Mesa – Avie’s Empire by Empire Maker won his career debut at Woodbine in Sept. at 6 furlongs on the grass and then was 4th in the Cup & Saucer to top 2yo Tiz a Slam. Joe Bravo rides the colt for trainer Josie Carroll. Dalos came close again in 2016 with a 3-year-old – AMI’S GIZMO just missed winning the Plate and then he won the Prince of Wales while likely headed to a Sovereign Award for Champion 3-year-old. The Pulpit Stakes is a 1 mile grass race and is race 7 on a stakes-filled card at the Florida track. Avie’s Mesa has been working at Palm Meadows since late November. Lou Tucci and Nick Gonzalez send out UNCLE B in the Buffalo Man Stakes in race 8 on the card. The Kentucky bred 2yo by Zensational won his maiden 2nd time out on Oct. 10 and then was 2nd in the Swynford Stakes on Nov. 27. Tucci is also starting OLD VALYRIA in the Garland of Rosess Stakes at Aqueduct on Saturday under trainer Rudy Rodriguez. Gonzalez has several entries on Saturday and is one of numerous Canadian trainers who have already set up shop in the south. Mike DePaulo, Reade Baker, Roger Attfield, Malcolm Pierce (Tampa Bay), Bill Tharrenos, John Simms (Tampa Bay) are just some of the names you will see in the entries already in races at GUlfstream and Tampa Bay. LUIS CONTRERAS and ALAN GARCIA are going to tackle American racing again now that Woodbine has ended. Contreras will ride at Los Alamitos tomorrow with a mount for trainer John Sadler while Garcia is back in New York. Both riders have had careers riding horses in the US but have certainly thrived since moving to the smaller colony at Woodbine. Four major races from Sha Tin for the Hong Kong Cup will be held late Saturday night and you and watch and wager through Horseplayer Interactive. Some European stars, such as Breeders’ Cup Turf winner Highland Reel, are in action. The first Hong Kong race goes off at 11:30 Eastern Sat. night and the first of 4 Cup races is at 1 a.m. on Sunday. Able Friend elicited nods of endorsement from the early-to-rise watchers at a floodlit Sha Tin this morning, Thursday, 8 December, after an eye-catching gallop down the home stretch, his final fast work before Sunday’s G1 LONGINES Hong Kong Mile. The big chestnut spotted his talented stablemate Mr Bogart a good length turning into the straight but was easily on top as the pair flashed past the winning post; jockey Joao Moreira exerting little pressure and the seven-year-old’s ears flicking confidently. The time for the 1200m turf gallop was 1m 15.6s (13.9, 13.4, 14.5, 12.1, 10.5, 11.2). “He was impressive in his work this morning,” trainer John Moore said. 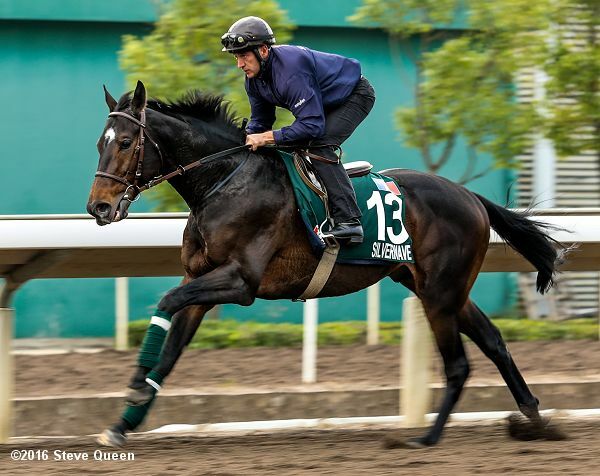 But the handler, seeking a seventh victory at the HK$83 million LONGINES Hong Kong International Races, is proceeding with caution, his charge having returned to race action only three weeks ago from an 11-month injury lay-off. Able Friend has drawn barrier 14, widest of all, for Sunday’s Mile. And while the former Hong Kong Horse of the Year was imperious when landing the Mile in 2014 after breaking from gate 10 of 10, Moore believes the scenario this time is significantly different. “He was a very fit horse two years ago when he won from a wide draw and he was peaking at that time,” he explained. The trainer was more bullish about Helene Paragon who also contests the Mile. “Hugh Bowman was ecstatic about his work this morning,” he said, after the four-year-old colt, never a flashy worker, had clocked 1m 15.2s (23.8, 27.8, 23.6) for 1200m, in company with the useful companion, Midnight Rattler. Moore relies on Designs On Rome in the LONGINES Hong Kong Cup (2000m). The gelding landed that prize in 2014 but faces a stiff Japanese challenge this time around; one that includes last year’s winner, A Shin Hikari, and the 2015 Hong Kong Mile hero Maurice. “The Japanese armada is in town,” he observed. “They’ve come in full force and I take them very seriously, they can compete on the world stage anywhere but my horses, bar Able Friend, are fully prepared and we have home town advantage. 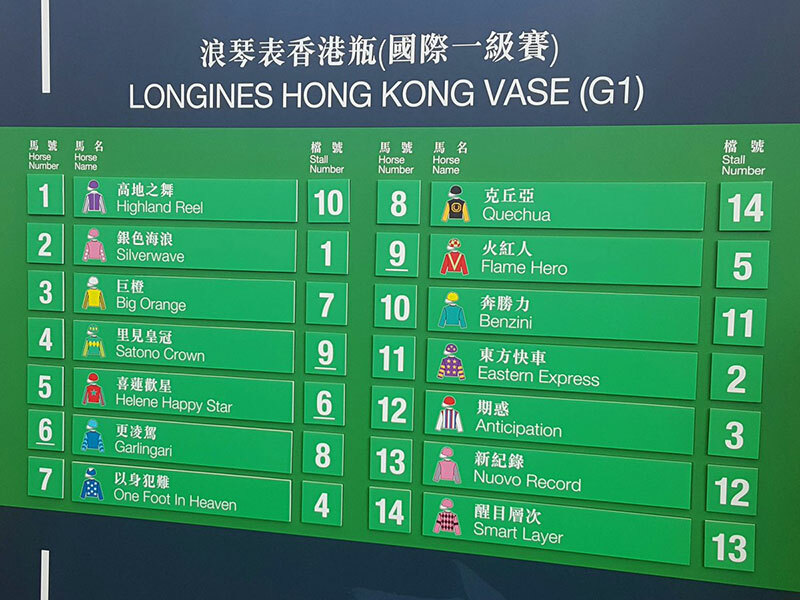 HIGHLAND REEL looks the best chance of a European winner at the valuable Hong Kong International meeting on Sunday. Aidan O’Brien’s colt is the class act in the Hong Kong Vase, having already bagged the King George VI and Queen Elizabeth Stakes and the Breeders’ Cup Turf this year, as well as finishing second in the Prix de l’Arc de Triomphe. The four-year-old doesn’t have the greatest strike-rate, with just two wins from eight starts this season, but he has proved very consistent in the highest-level races all over the world and if he runs to his mark again he should win. He saw off Arc runner-up Flintshire to win the 2015 renewal of the Vase and he doesn’t face any rivals of that calibre this time round. The icing on the cake is that Ryan Moore, fresh from a couple of big wins in Japan and with a great record at Sha Tin, takes the ride. The ten-year average RPR for a Vase winner stands at 119. Highland Reel has hit that standard on six of his eight starts this season – and you can overlook the other two runs as they came over an inadequate 1m2f.